Fire & Ice: package includes overnight accommodations, two tickets to Fire & Ice, kids eat free and more. Valid through January 2, 2014. Rates from $179/night; rate code FIREICE. Home for the Holidays: package includes two nights’ accommodations, daily traditional English breakfast, a personal mixology lesson and pre-packaged beach supplies. Valid through December 30, 2013. Rates from $234/night. The Christmassy DreamWorks Experience: package includes overnight accommodations, tickets to ICE!, character meet & greet, character breakfast, scavenger hunt and more. Valid through January 5, 2014. Rates from $223/night. Christmas at Gaylord Palms: package includes overnight accommodations, tickets to ICE!, character meet and greet, and more. Valid through January 5, 2014. Rates from $183/night. Night at the Nutcracker: package includes overnight accommodations, hot chocolate night cap, ballerina welcome cookies, breakfast for two, two VIP tickets to the “Nutcracker” Ballet and swag bag. Valid through December 28, 2013. Rates from $475; rate code ZZLO. Papa Noel Rates: start at $99/night. Valid through December 30, 2013. Promo code HOL. Papa Noel Rate: starting at $199/night, includes complimentary welcome cocktails and discounted overnight valet parking. Valid through December 31, 2013. Enjoy 30% off Sunday – Thursday stays, and 15% off Friday and Saturday stays. Rates from $90/night. Rate plan PAPA NOEL. 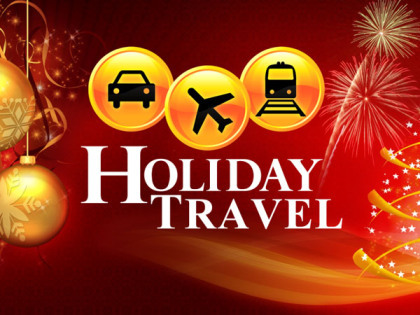 Valid December 22 – 26, 2013. 20% off best available rate; valid Sunday through Thursday. 10% off best available rate; valid Friday and Saturday. Valid through January 13, 2014 (blackout dates apply). Ozark Mountain Christmas Package: includes two nights’ accommodations, $50 food and beverage credit, two-day tickets for two adults to Silver Dollar City theme park and more. Rates from $362. Valid through December 30, 2013. Tower Suite rates begin at $699/night; Presidential-style and Historic Suites start at $1,499/night. Valid through December 30, 2013. Rates starting at $150/night. Valid through December 30, 2013. JW Illumination features hundreds of thousands of twinkling lights choreographed to holiday music. In addition, holiday-themed activities such as the Gingerbread Craft Workshop, JW Sounds of the Season with carolers, Polar Plunge, Elf tuck-in and more. Valid through December 31, 2013. Rates from $170/night. Stay for Breakfast: package includes overnight accommodations and breakfast for two. Rates from $159/night. Valid through January 31, 2014. Christmas Dining Package: includes overnight accommodations, breakfast for two, and choice of lunch or dinner for two (alcoholic beverages not included). Rates from $315/night. Valid December 20 – 26, 2013. New Year’s Eve Dining Package: includes overnight accommodations, breakfast for two, and choice of lunch or dinner for two (alcoholic beverages not included). Rates from $315/night. Valid December 27, 2013 through January 1, 2014. Holidays On Island Time: package includes seven nights’ accommodations, three gourmet meals daily, resort activities, ground transportation, $200 resort or air credit (Island Hoppers) and more. Book by November 25 and receive complimentary room upgrade (based on availability). Valid for travel through March 31, 2014. Rates from $2,109/couple.